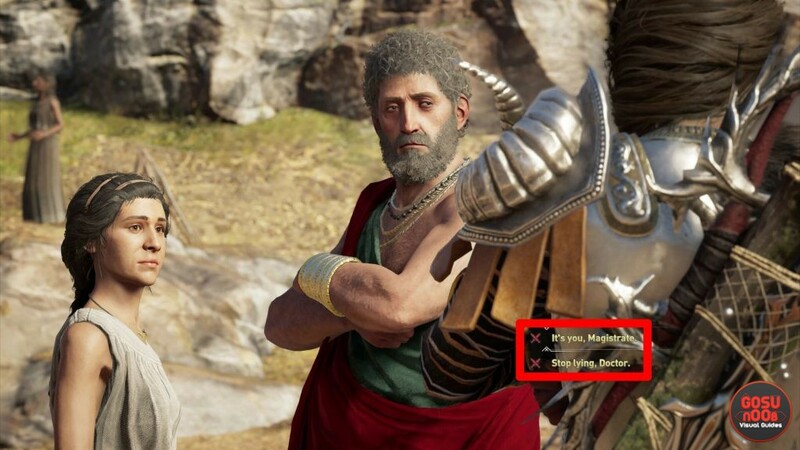 Accusing the magistrate or doctor is a part of the Mysterious Malady quest in Assassin’s Creed Odyssey Legacy of the First Blade. This is a potentially really important choice you’ll make. You might accuse the wrong person. Also, this quest ends up tying to the bigger picture, so you want to make the right choice in the Mysterious Malady quest, between the doctor and the magistrate. Our AC Odyssey Accuse Magistrate or Doctor – Mysterious Malady Quest guide is going to show you who to accuse in the mission. 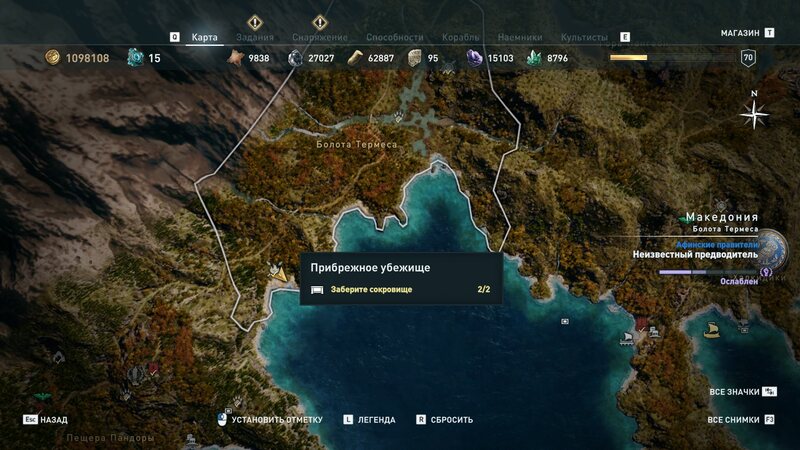 Mysterious Malady Quest in AC Odyssey Legacy of the First Blade – Who to Accuse? In the Legacy of the First Blade Mysterious Malady quest, you’ll be trying to solve the mystery of a town that has fallen ill for no apparent reason. At the climax of the quest, you’ll have to decide who to blame for this malady. This is because it’s become apparent that it’s no ordinary sickness; there’s something much more evil afoot. Your choice is between the magistrate, who does seem pretty belligerent, and the doctor, who is more timid, but still kinda shady. As it turns out, the guilty party is the doctor. So, the correct answer is Stop lying, Doctor. Spoiler alert (although, if you came here looking for the correct answer, the point’s kinda moot either way): our good doctor is a part of the Order of the Hunter cult branch. She’s been poisoning people, from what I can gather, only to smoke you out. The whole thing was to get to you. When you accuse her, she will admit to everything, and also call her two really, really strong bodyguards. You’re in for a tough battle against the three of them. Once you’ve killed all three of them, make sure to confirm the cultist kill and loot the good doctor’s corpse. And, that’s about it. In case you need further help with AC Odyssey Legacy of the First Blade, you can check out some of our other guides, such as How to Start Legacy of The First Blade DLC Quest, Blacksmith Code – What to Answer, and others. What if I, made the wrong choice.. The only one I need now, is the doctor, and she’s gone now.. Anything to do here? I would just go back to a previous save & redo it. I’m in the same boat. I think there should be a chance to kill her again sometime, or redo the mission after completing all the missions, but it seems the mission structure doesn’t allow it, so we are both stuck waiting for a patch. Too bad the developers didn’t foresee this issue in advance. I make the wrong answe and have spent a lot a hours afterwards from mission. How does I fix it without losing everything between now and the mission?